Never Get Stranded Anywhere in Waterloo, Cambridge or Kitchener! The Best Full-Service, 24/7 Tow Company in the Waterloo, Cambridge and Kitchener area! Nothing feels worse than being stranded because your car has broken down. 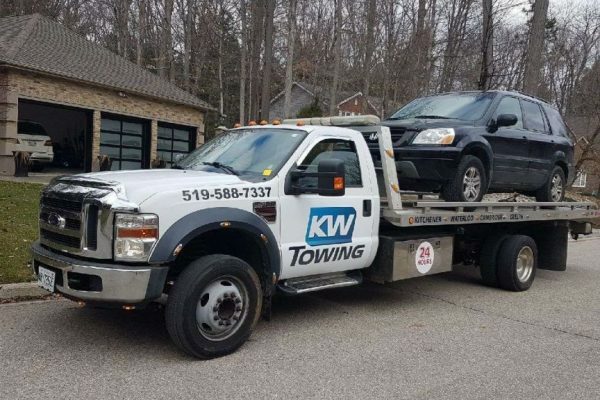 No matter where you are, or what time it is, KW Towing will tow your car and get you where you need to go. Unlike most tow companies, KW Towing is part of a family-owned car business network. We will not only tow your car, but we will also help you with anything else care related you need. We are your one stop shop when it comes to car services. No other tow company in the area can come close to offering all of these services.